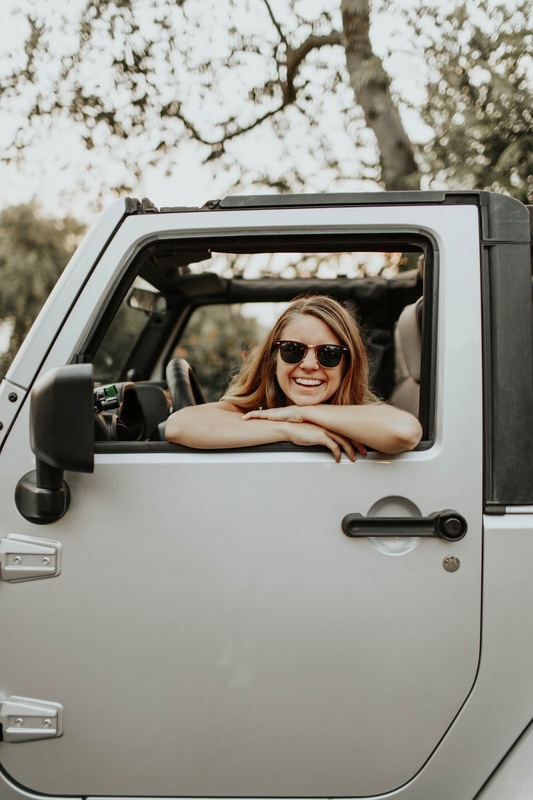 Raise your hand if you like super cheap and simple do-it-yourself projects! Well if you do, then this is the perfect project for you. I have had this iPhone case for a while now and I always get asked if I made it..so I thought it would be great to finally make my own. I bought my original one at Free People for $28 and made my own for $2. I'd say this project was a win. *I used fabric and ribbon from JoAnn's Fabric. Go to a thrift store and find a vest or bag in a cool pattern, braid leather chord together or cut up a crocheted doily...you can use anything! Steps: Trace your case on a piece of paper and cut out. 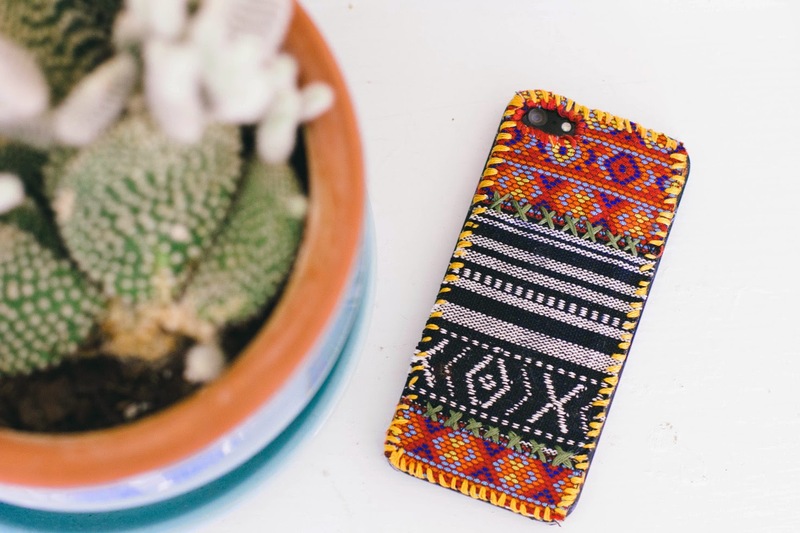 Play around with your fabrics and lay out how you want your case to look like. Using a zig-zag stitch, sew your fabrics together how they are layer out (this is optional, but helps cutting your case easier- you can skip this step and just go ahead to embroidering by hand if you want!) 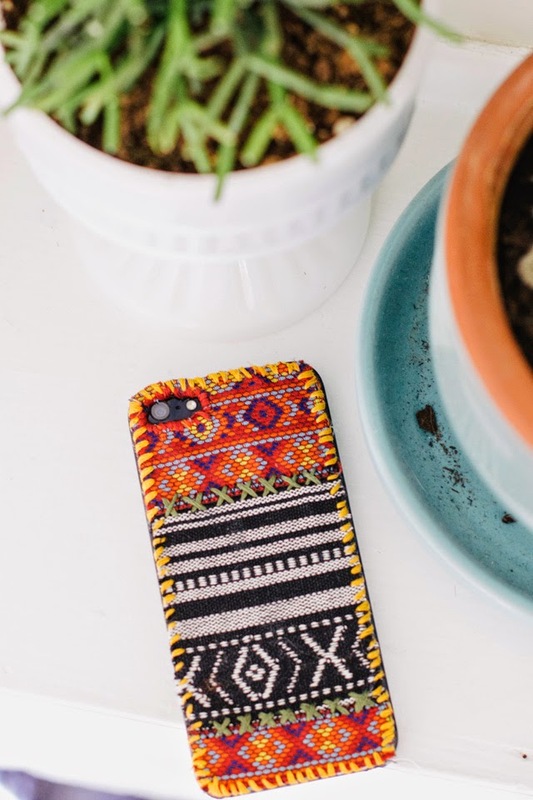 Cut your fabric to the size of your case and embroider around the edges with a simple whip stitch. Trace the camera hole on your fabric and cut out- be very careful with this, it is better to have the hole too big than too small. 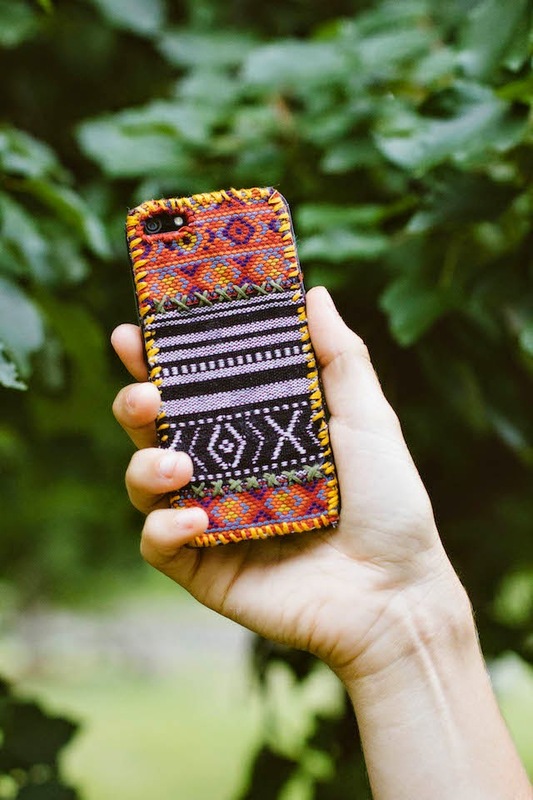 Embroider around the camera hole and anywhere else on your case. 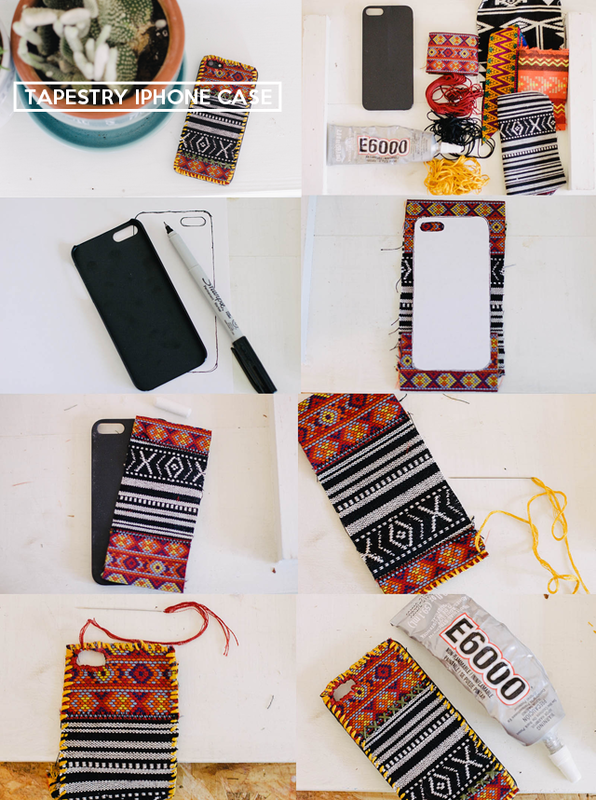 Using E6000 glue, glue down the tapestry onto the case and press down. Make sure the edges are glued down well. Cut off excess strings around your case and you are finished! 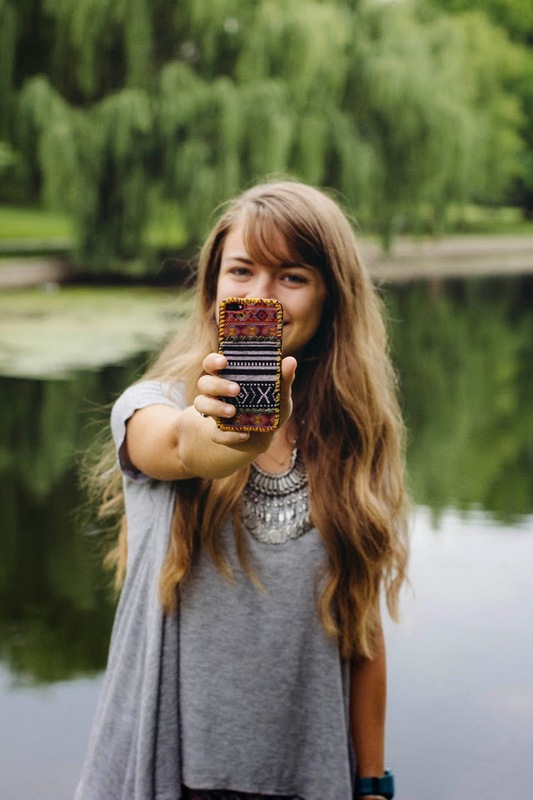 What is your favorite phone case at the moment? The idea is great and the result is amazing. Loving your DIY ideas. As I felt on love with your floral sneakers DIY (and I did my own sneakers hack on the blog last week), I've just posted on my FB fan page a link to your DIY (also mentioning you, of course. I hopw you don't mind. Thanks so much, Maria! I love the cut outs you did on your sneakers- so cute! I absolutely adore this! Again, just like what we sell at Free People :) So impressive. Also, I shot you an email, hoping you got it! Haha- They are just full of inspiration! Free People just knows how to do it right. I love this! I actually like it a lot better than the one you bought. When I get a smart phone some day, I'll definitely make this. Thanks for the DIY! Oh wow! 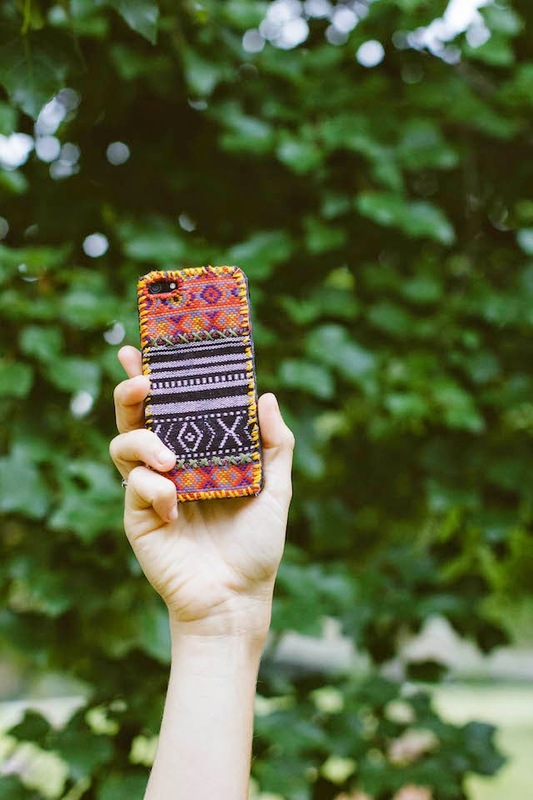 I love this Boho inspired case!! So cool! This is such a gorgeous idea! This is a great idea! I love the extra stitching you added. This is awesome! Also, your photos are really nice! What kind of camera and editor do you use? These cases are very creative....We have a case that is made of Polycarbonate, and T6 aluminium products that we got from Rokform Europe. They are so elegant and strong that it withstand every scratch and falls. You can also order iPhone 6 protective cases here to get the best Quality iPhone 6 Cases, iPad covers & galaxy cases, docking station for iPhone & iPhone bike mounts etc. Thanks.